The Nexus 210, Evolution Aqua's world leading filtration system has now got better. Incorporating the industry proven Kaldnes Moving Bed coupled with the exceptional New Eazy mechanical filter. Combined they provide outstanding water clarity and quality. It is extremely 'Eazy' and pleasurable to clean. 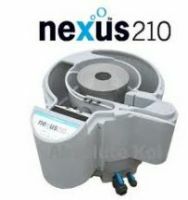 The Nexus 210 is a cleverly combined mechanical and biological filter creating an effective, high performance filtration system for all sizes of pond. It has and continues to revolutionise the way ponds are filtered. The Nexus combined with the New Eazy, means there really is no competition regarding price and what it will achieve.